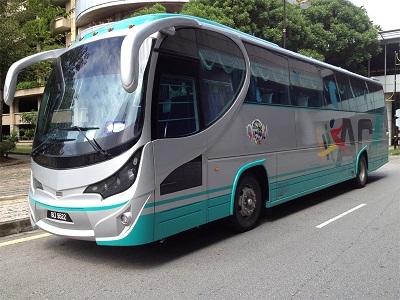 Airport Coach is a famous bus operator that offers bus services between KLIA and Kuala Lumpur (KL Sentral). Recently, the company has just expanded its operation to also offer bus service between KLIA / KLIA2 to Muar and Batu Pahat. The bus service between KLIA/KLIA2 and Batu Pahat / Muar brings convenience to the residents from Batu Pahat and Muar to go to the airport, as well as residents returning from overseas to go back to Batu Pahat and Muar from the airport. The bus ticket fare starts from RM 50.00. There are currently about 6 scheduled daily departures to KLIA/KLIA2 from Batu Pahat Bus Terminal and Muar Bus Terminal, which starts from as early as 8.00 a.m. to 11 p.m., as well as 6 daily departures from KLIA/KLIA2 to Batu Pahat and Muar. The Airport Coach has been providing excellent airport bus service for over 10 years, slowly building the confidence from the passengers by maintaining a great experience during their journeys. The Airport Coach also takes pride for its punctual departures, which is especially important for passengers who needs to catch a flight.